Should Christians follow the Law of Moses? The answer is an emphatic Yes. Why? Because obeying the Law of Moses is a requirement of The LORD GOD Almighty. He teaches in Luke 4.4, “That man shall not live by bread alone, but by every Word of GOD.” And GOD’s Word and His Laws never change. They are the same yesterday, today, and forever. And all GOD’s Laws are written in the Law of Moses. It is critical to recognize that all GOD’s Laws are written in the Law of Moses and must be obeyed by His Creation; Jewish People, Christians and all Mankind. Messiah Yeshua, Jesus said in Matthew 7.23, “Depart from Me you that work lawlessness”. The word lawlessness comes from the Greek word Anomia which means, Violation of the Law of Moses, and Transgression of the Law of Moses. Depart from Me, The LORD said, You that disobey and violate My Law, the Law of Moses. The LORD GOD spoke these words in Deuteronomy 32.1. “Give ear O you Heavens, and I will speak; and hear O earth, the Words of My Mouth”. GOD’s Words and His Laws are to be obeyed in the Heavens where the Angels, and GOD Himself dwell, and the earth where dwells all Mankind. GOD’s Word and Laws are for the Angels in Heaven, and even The LORD GOD Himself to obey, as well as all Humanity to live by. Messiah was asked, “What is the most important Commandment of all?” Mark 12.28-31 And Yeshua answered, “The most important Commandment of all is, Hear O Israel, The LORD our GOD is ONE LORD. And you shall love The LORD your GOD with all you heart, and with all your soul, and with all you mind, and with all your strength; this is the most important Commandment. And the second is similar, You shall love your neighbor as yourself.” Hear O Israel in Hebrew is Shema Yisrael, meaning Hear O Israel, and all Mankind what The LORD your GOD speaks, and obey Him. The LORD our GOD is ONE LORD. There is only ONE GOD and no others, and Yeshua is that ONE GOD. Messiah’s words come from Tnakh, the Old Testament Scriptures in Deuteronomy 6.4-5 and Leviticus 19.18. Believing Non-Jewish People are instructed by James to go to the Synagogue on the Sabbath Day and learn the Law of Moses, and do it. In Acts 15.21, James spoke and said, “For Moses of old time has in every city them that preach him, being read in the synagogues every Sabbath Day”. Believing Non-Jewish People should learn the Law of Moses and obey it. That is the foundational teaching of The Bible. GOD’s Word stands forever. It never changes no matter how hard people try to abolish it. Malachi 3.6, Isaiah 40.8, 1 Peter 1.25, Hebrews 13.8. The New Testament teaches in Acts 5.32 that we must obey GOD’s Law of Moses to be given The Holy Spirit. Think on those words for a moment. John teaches that proof of knowing Yeshua is obedience to His Commandments, His Law of Moses, 1 John 2.3. And the proof of loving Him is also obedience to His Law of Moses, 1 John 5.2-3, John 14.15 and Deuteronomy 7.9. And GOD’s Commandments, His Law of Moses, are not difficult, 1 John 5.3. Sin is breaking the Law of Moses, 1 John 3.4. And Paul writes in Romans 6.1-2, “What shall we say then? Shall we continue in sin that grace may abound? GOD forbid”. Shall we continue in sin by breaking GOD’s Law of Moses, Paul writes? GOD forbid. Does that sound like Paul teaches that we are free from the Law of Moses? GOD forbid. Paul teaches that to avoid sinning, we must obey the Law of Moses. Ever consider why GOD will destroy the world? Well, The LORD tells us why. Because of worldwide disobedience to His Laws, the changing of His Laws on the part of man, and man’s breaking His Everlasting Covenant, His Word, and His Laws which are all written in the Law of Moses. See Isaiah 24.5-6. That is why Christians and all Mankind are required to obey the Law of Moses. Not that GOD will change His Mind. GOD will destroy this world in His time. But by believing in Messiah Yeshua, and obeying GOD’s Laws written in the Law of Moses, you will have everlasting life. And He will never say to you, Depart from Me you that work lawlessness. And finally, the King James Version reads in Revelation 22.14, “Blessed are they that do His Commandments, that they may have right to the tree of life, and may enter in through the gates into the city”. GOD’s Commandments are the entire Law of Moses which are not difficult. You see, Salvation includes both belief in Messiah Yeshua, Jesus, and obeying GOD’s Laws that are written in the Law of Moses. GOD has always required obedience to His Word and Laws. That never changes. The first words GOD spoke to humanity, to Adam and Eve in Genesis 2.15-17, was a Commandment. GOD charged Adam, Don’t eat the fruit from a certain tree. And everyone knows what happened next. Adam and Eve disobeyed GOD because they were tricked by satan to disobey The LORD their GOD, and they died as The LORD GOD had promised if they disobeyed His Voice. And satan has plenty of helpers today teaching disobedience to GOD. They are all over the place. But Yeshua often teaches us, “He that has ears to hear, let him hear”. Shalom. Our teaching this morning will be from Exodus 18.21-27, but we will start our reading from Verse 13. EXODUS 18.21 Able men in Hebrew is AHN’SHAY KHA’YEEL meaning men that are worthy and virtuous. That is, men who are righteous, law-abiding, men who obey the statutes of GOD and His Laws. Such as fear GOD literally means men who fear GOD. GOD demands us to fear Him. The fear of GOD is required in the service of GOD. Deuteronomy 4.11 reads, We must learn to fear The LORD all the days that we shall live upon the earth, and that we teach our children. Deuteronomy 10.12 reads, And now Israel, what does The LORD your GOD require of you, but to fear The LORD your GOD, to walk in all His ways, and to love Him, and to serve The LORD your GOD with all your heart and with all your soul. Proverbs 1.7 reads, The fear of The LORD is the beginning of knowledge, and Proverbs 9.10 reads, The fear of The LORD is the beginning of wisdom. Paul writes in Philippians 2.12, Work out your own salvation with fear and trembling. Our salvation must include the fear of GOD. Fear and trembling come from our awareness of the awesome greatness of GOD Almighty. The fear of The LORD increases our sense of duty to The LORD to obey all His statutes, and His Laws. Fearing GOD increases our honor, loyalty and respect for Him. We fear GOD because we fear His punishment for sin. Sin is breaking GOD’s Law of Moses 1 John 3.4. Fearing GOD is a requirement from GOD Himself. Fearing GOD is avoiding sin and staying out of trouble with GOD Almighty. It is the beginning of wisdom and knowledge. And fearing GOD is closely related to loving GOD, because if you love GOD, and fear Him, you will keep His Commandments. You will obey His Laws that are written in The Law of Moses. The priest of Midian, Moses’ father-in-law gave Moses good advice. (Philippians 2.12) Fearing GOD must be part of our salvation. Fear and trembling cause us to obey Him, and love Him and honor Him with dedication, loyalty and respect. Also Jethro said, provide out of all the people men of truth. Truth is honesty and sincerity. That is having no deceit, hypocricy or falseness in our heart or lips. The Talmud teaches, Do not be a person who has one thing in his heart, and another on his lips. That would be a description of a liar and hypocrite. Truth is GOD Almighty, Yeshua The Messiah. GOD is a GOD of truth, and without iniquity, just and right is He. By diligently obeying The LORD, The GOD of Israel, by following His doctrine, and living by every Word that proceeds out of His Mouth, knowing and obeying His statutes and the Laws of GOD written in The Law of Moses, you and I will possess one of the greatest virtues, truthfulness. And Jethro also advised Moses to provide out of all the people men who hate covetousness, men who are not greedy. For the LOVE of money is the root of all evil. 1 Timothy 6.10. So Jethro, Moses’ father-in-law, the priest of Midian gave Moses excellent advice to lighten his judicial burden by hearing the most difficult cases, while appointing able men, such as fear GOD, men of truth, and hating covetousness to handle the rest. And place them to be rulers of thousands, and rulers of hundreds, and rulers of fifties, and rulers of tens. Messiah said, by their fruits you shall know them. Good advice to know a person’s behavior. But what are those fruits? I think on the words a certain scribe asked Yeshua. A scribe was a Torah teacher. He taught The Law of Moses. And he asked Yeshua The Messiah, what is the first, or what is the most important Commandment of all? The scribe was asking Yeshua, what is the most important Biblical commandment of GOD? What is the most important Commandment of all GOD’s statutes, ordinances, and Laws? What is the most important Commandment in the entire Bible? And Yeshua answered him, Hear O Israel, The LORD our GOD is one LORD: and you shall love The LORD your GOD with all your heart. And the second is similar. You shall love your neighbor as yourself. Let’s look at Messiah’s answer in Mark 12.28-33. VERSE 29 And Yeshua answered him, the most important of ALL the Commandments is, Hear O Israel, The LORD our GOD is one LORD. Hear O Israel means, Israel, listen to every word GOD speaks, and obey Him. That is obey all His Commandments and Laws that are written in The Law of Moses. THAT IS GOOD FRUIT. This is New Testament teaching for everyone. Hear O Israel; The LORD our GOD is one LORD. Again, Yeshua is teaching us there is only one GOD. GOD has many wonderful Names. One of His Names is Yeshua, His Title, Messiah. The one GOD is The Father. He is The Messiah, and He is The Spirit, and The Holy Spirit. One GOD. No mystery. The trinity is man’s invention of three different gods. That is paganism. There is only one GOD. VERSE 31 And Yeshua said, the second is similar. You shall love your neighbor as yourself. There is no other Commandment greater than these, Yeshua said. And like all Biblical teachings, Commandments and Laws, loving your neighbor as yourself is Old Testament teaching. ent for your sins to remain written in The Book of Life, and to enter The Kingdom of GOD. And you are looking at Him, and talking to Him. So in a capsule, Yeshua The Messiah, GOD Almighty teaches us in Mark 12.28-34, the most important Commandment of all is, Hear O Israel, The LORD our GOD is one LORD. And you shall love The LORD your GOD with all your heart. And love your neighbor as yourself. In so doing, and believing in Yeshua The Messiah, you will enter The Kingdom of GOD. And that is the definition of good fruit. While we are on the subject of Messiah, and we are usually on that subject all the time, ever think what the word Messiah means? Messiah in Hebrew is MAHSHEEAKH – meaning anointed, a consecrated person. Which means, a person charged with a special mission from GOD. And the anointed of GOD were priests and certain kings, and of course The Messiah Yeshua. All with the title of MAHSHEEAKH. LEVITICUS 4.5 The priest who is anointed in Hebrew is HA KOHAYNE HA MAHSHEEAKH. The special mission from GOD for the priests was to serve GOD in the Tabernacle and Temple according to Torah, GOD’s Law of Moses. King Saul was GOD’s anointed, His MAHSHEEAKH. 1 SAMUEL 24.5-6 The anointed of The LORD in Hebrew is L’MASHEEAKH YEH’HOVAH. King David was GOD’s anointed, or MASHEEAKH. HA GEH’VEHR HOO’KAHM AL MEHSHEEAKH ELOHAY YAH’AHKOV. And the Gentile King Cyrus, the founder of the Persian Empire is given the title Mahsheeakh because his special mission from GOD was to conquer Babylon in 539 B.C.E., B.C., and in 538 B.C.E, B.C., he allowed the Jewish people to return to Jerusalem and rebuild the second Temple. That began the second Temple period, the Temple Yeshua walked in, and taught in. GOD chose Cyrus to carry out His mission. And of course Yeshua The Messiah is GOD’s anointed, His Mahsheeakh. Messiah’s special mission is to be our atonement for the forgiveness of our sins in order for us to remain written in GOD’s Book of Life. And Israel’s Deliverer in the future when He returns to destroy all the nations that hate her and seek to destroy her. At that time, Messiah Yeshua will set up His Messianic Kingdom for 1,000 years in Israel. The bands and cords the nations break are GOD’s Laws, Doctrines, Teachings, and Instructions. And believing in more than one god. The LORD will have them in derision. DANIEL 9.25-26 Messiah in both verses is MAHSHEEAKH. Here Daniel prophesies the exact time of Messiah’s first coming, to be killed, but not for His own sins. Then Jerusalem and The Temple will be destroyed. The Romans destroyed Jerusalem and The Temple some 40 years after Messiah was killed in 70 C.E., A.D., exactly according to Daniel’s prophecy. GOD’s special mission for Messiah. Isaiah 53 prophesies of Messiah’s first coming, His atoning death for the forgiveness of sins. His resurrection, and GOD’s special mission for Messiah will succeed. ISAIAH 53.10 It pleased The LORD to kill Him to make His Life an offering for sin. Messiah will see His seed. He will see His family of the true Believers in Him, Luke 8.21. GOD will prolong His days by resurrecting Him back to life. And the pleasure of The LORD shall prosper in His Hand. Messiah’s special mission succeeded. Messiah’s future mission from GOD is His return to deliver Israel from her enemies, all the nations that hate her, by destroying them. And He will save His people Israel, those Jewish people He will save. And pour on them His Holy Spirit, and set up His Messianic Kingdom in Israel. And that will also succeed. And in Heaven, Messiah Yeshua, GOD Almighty, The Everlasting Father, Isaiah 9.6(5) will dwell with us forever. We will be His people, and GOD Himself will be with us, and be our GOD. That is another special mission for Messiah that will succeed. GOD’s intention for the Garden of Eden was to be an eternal place for people without sin to live forever, but that failed because of man’s disobedience to GOD. Heaven is eternity, without sin, for people who have had their sins forgiven by receiving Messiah Yeshua and the most important Commandment of all. Obey GOD. There is only one GOD. And love Him, and your neighbor. And we will reign with HIM forever and ever as kings. Since we are closing this study on Heaven, The Kingdom of GOD where we will reign as kings forever and ever, Messiah Yeshua gives us New Testament teaching for everybody on how to enter The Kingdom of GOD in Mark 12.28-34. Hear O Israel, The LORD our GOD is ONE LORD. And love The LORD your GOD with all your heart. And love your neighbor as yourself. And have your sins atoned for by believing in GOD’s Anointed One, Yeshua The Messiah. That is the way to eternal life in The Kingdom of Heaven. Shalom. Our teaching this morning will be from Exodus 18.10-20, but let’s start our reading from Verse 5. EXODUS 18.13 Moses sat to judge the people. The word judge in Hebrew is SHAHFAHT which means to hear and decide according to Law. With Moses the decisions were according to GOD’s Laws. Judging also means to vindicate, or free from an accusation, or punish because of guilt, according to GOD’s Law. And the people stood by Moses from the morning to the evening. EXODUS 18.14-15 Because the people come to me to inquire of GOD. Inquire in Hebrew is DAH RAHSH meaning to ASK GOD, or SEARCH His Word and Law, and His instructions. EXODUS 18.16 Moses told Jethro, I make them know the statutes of GOD, and His Laws. All GOD’s Laws are written in The Law of Moses, the first five books of The Bible, known as The Torah. We ourselves should know GOD’s laws to know if we are doing right or wrong in the eyes of The LORD our GOD. As James said in Acts 15.21, “For Moses of old time has in every city them that preach Him, being read in the Synagogues every Sabbath Day.” Moses in James’ statement means The Law of Moses. And this we try to do every Sabbath, teach The Torah, GOD’s Law of Moses. And Moses did the same with the people, make them know the statutes of GOD, and His Laws. And James is saying that non-Jewish Believers in Messiah should learn The Law of Moses, GOD’s statutes and Laws, and live by them. EXODUS 18.17, 18, 19, 20 VERSE 20 Jethro said to Moses, you shall teach them ordinances and laws, and show them the way they must walk, and the work they must do. The word teach in Hebrew as in, You shall teach them ordinances and laws, comes from the Hebrew word ZAH KHAR which means to TEACH them, and WARN them. Teaching them, and warning them is good instruction because we are blessed for living according to GOD’s ordinances and laws, and punished for not living in them. DEUTERONOMY 4.1 One of the huge blessings for obeying GOD and His Law of Moses is that you may live and prosper in all that you do, that you may live well and flourish, that your life will continue safe and sound, and you will be well and have good success. The word live in Hebrew is KHY, and KHY means all those things when you obey GOD’s Laws that are written in The Law of Moses. And the Warning for not doing all GOD’s Laws and statutes that are written in GOD’s Law of Moses. DEUTERONOMY 28.15 etc. And Jethro also told Moses, Teach them the way they must walk. That is, teach them how to lead a GODly and Holy life. That comes only by living according to GOD’s Law of Moses. And the work they must do, Jethro counselled his son-in-law. And the work they must do is also according to GOD’s Laws and statutes that are written in The Law of Moses. Yeshua commands the very same thing in Matthew 28.20. Teach them to observe all things whatsoever I have commanded you. Let’s take a leap into the future, the future and final judgment of those who are not found written in The Book of Life. REVELATION 20.7-15 VERSE 12 The dead were judged according to their works. Our works are according to GOD’s Laws and statutes written in The Law of Moses. VERSE 14 The second death is death and hell being thrown into the lake of fire. VERSE 15 How does one remain written in GOD’s Book of Life? The answer. Our sins must be forgiven, and we must lead our life without sin. Sin is breaking The Law of Moses. 1 John 3.4. EXODUS 32.33 Our sins are forgiven by believing in GOD’s New Covenant which is Yeshua The Messiah. GOD will forgive our iniquity and He will remember our sin no more. Then we must lead our life walking in GOD’s Law of Moses. That prevents us from sinning against GOD. Jeremiah 31.31-34, Hebrews 10.16-17. So we remain in GOD’s Book of Life by having our sins forgiven. As you well know, that is accomplished by believing in Yeshua The Messiah Who is our atonement by which GOD forgives all our sins. And we stop sinning by turning to GOD, and obeying His Laws that are written in The Law of Moses. Thus our sins against GOD are forgiven, and we stop sinning against Him by obeying Him, and we remain written in GOD’s Book of Life. Now, how are we the Believers judged, the Believers in Messiah Yeshua who live by GOD’s Law of Moses? Paul answers that question in 2 Thessalonians 1.3-5. 2 THESSALONIANS 1.3-5 The judgment of the Believer is here on earth. And the true Believer is the one who is special and chosen of GOD, who believes in Messiah Yeshua, and lives according to GOD’s Law of Moses. And that judgment is this. That judgment is the patience and faith we exhibit in all our persecutions and tribulations that we endure. That is clear proof of the righteous judgment of GOD that we are counted worthy of the Kingdom of GOD for which we also suffer. Thus our judgment takes place on earth in all the persecutions and tribulations we endure because of our faith in Messiah Yeshua, and obedience to GOD’s Law of Moses. EXODUS 18.12 Burnt offering in Hebrew is OLAH which is a sacrifice or an offering to The LORD to praise Him and thank Him. Sacrifices in Hebrew is ZEH VAH KHEEM. And these sacrifices were for giving thanks to The LORD GOD, and for the forgiveness of sins. And Jethro, and Moses, and Aaron, and the elders of Israel, and their families ate before The LORD. They ate the sacrifices and all the trimmings of a great feast. The sacrifice and the offering to GOD began with Cain and Abel, Adam and Eve’s two sons. GENESIS 4.3-5 Cain offered crops to The LORD for his offering, and GOD was not pleased with it. But Abel offered his sacrifice from the firstborn of his flock and The LORD accepted it. The sacrifices were atonement for their sins. Sin started when Adam and Eve disobeyed GOD in the Garden of Eden. They ate what GOD told them not to eat. Genesis 2.16-17, Genesis 3.1-6. satan still tricks people into disobeying GOD. The Bible records that Noah also sacrificed to The LORD with clean animals according to GOD’s Law, Genesis 8.20-21. And likewise Abraham and Jacob sacrificed to The LORD their GOD. Genesis 12.8 Genesis 31.54.
ich prevented them from sinning against GOD. Noah was a just man, and perfect and walked with GOD. Genesis 6.9. Abraham obeyed GOD’s Commandments, Statutes, and Laws. Genesis 26.5. And Torah records that Jacob was a plain man, in Hebrew meaning he was perfect and upright. He obeyed GOD’s Laws. Genesis 25.27. And GOD requires the same for all Believers in Messiah Yeshua. At the moment we received The New Covenant, Yeshua The Messiah, our Sacrifice for the forgiveness of our sins, GOD put His Law in our hearts to obey Him. When the LORD GOD puts His Law in our hearts, He puts His Law in our mind and thoughts, and our understanding and wisdom. Jeremiah 31.33, Hebrews 8.10, Hebrews 10.16. Thus the sacrifice for atonement has always been part of GOD’s Law. LEVITICUS 1.1-4. Belief in Messiah Yeshua does not free anyone from the obligation of obeying GOD’s Laws that are written in The Law of Moses. Obeying GOD’S Law is a blessing. Numbers 15.14-16, Matthew 7.23, etc. ZECHARIAH 14.20-21 These words are prophecy of The LORD’s return, and the sacrifice will be reinstated. So why will animal sacrifices be required in the Millennium when we have already been forgiven our sins by Messiah’s atoning death? Here are my thoughts. – The Temple will be rebuilt in the Millennium and GOD will reinstate the animal sacrifice. There must be animal sacrifices when The Temple stands. – Many unsaved Gentiles will be saved for blessing Jewish people and will need atonement for their sins. – Many unsaved Jewish people will be saved when The LORD returns, and will need atonement for their sins. Deuteronomy 30.1-5, Ezekiel 37.11-14, etc. – GOD never changes. One of His Great Names is I AM THAT I AM. In Hebrew EH HEH YEH AHSHER EH HEH YEH. Which means, I (ever) shall be (the same) that I AM (today). GOD never changes His Word, His Law, His promises, His blessings. GOD never changes. And when The Temple is built in the Millennium, GOD will resume the sacrifice. But there will be no physical Temple in Heaven because The LORD GOD and Yeshua is The Temple. Revelation 21.22. There will be no need for a sacrifice. Everybody will be saved. EXODUS 18.10-11 GOD never changes. He never goes back on His Word or His Promises. He promised Abraham some 300 years before the Children of Israel became slaves in Egypt, and some 700 years before the Exodus that He would deliver His People with great substance out of a land that is not theirs, and they will be afflicted 400 years in that land. And He told Moses at the burning bush that He would deliver His People out of the hand of the Egyptians, and bring them up out of that land to a good land flowing with milk and honey. And He did. And that is why Jethro said, blessed be The LORD Who has delivered you out of the hand of the Egyptians, and out of the hand of Pharaoh Who has delivered the people from under the hand of the Egyptians. Now I know, Jethro said, that The LORD is greater than all gods, for in the thing wherein they (the Egyptian gods) dealt proudly, The LORD was above them. These were Jethro’s words. Jethro was in awe of the greatness of GOD. The LORD GOD cannot be compared with anyone, or anything, or any man. He is GOD in Heaven above, and the earth beneath. HE ALONE created the Heavens, and stretched them out. He spread forth the earth, and that which comes out of it. He gives breath to the people upon it, and spirit to them that walk in it. He forms the light, and creates darkness. He makes peace, and creates evil. He The LORD does all those things. There is none beside The LORD. He is The LORD and there is none else. And it staggers me that Christianity teaches the doctrine of the trinity that The Father, Messiah, and The Spirit are three distinct, different and separate gods when The Bible emphatically teaches One GOD and no others. GOD is The GOD of Israel, The GOD of Abraham, Isaac, and Jacob. He is Yeshua The Messiah Who is The Father, Son, and Spirit. He is all in all, and He fills all and all. Let’s close on a few Scriptures that clearly state there is only one GOD. GOD may appear as Messiah, or GOD, or The Angel of GOD, or a flame in a bush, or flaming glory, or in numerous other appearances. And they may talk to each other, Psalm 110.1, John 17, but there is only ONE GOD. ZECHARIAH 14.9 All humanity in that day at His return will acknowledge that there is only ONE LORD, and He is Yeshua. There is only ONE SAVIOUR, and The LORD GOD Almighty, Yeshua The Messiah is that Saviour. ISAIAH 43.11, JUDE 25, 2 PETER 1.11, ISAIAH 45.21. There is only one GOD. He is Yeshua The Messiah. Anything else is paganism. Shalom. Our teaching this morning will be from Exodus 18.8-9, but first let’s read Exodus 18.5-9. Let’s look at some interesting facts mostly unknown about Israel, The Israel of GOD whom The LORD had delivered out of the hand of the Egyptians. First of all, Egypt is the place GOD chose to make Israel a great nation. This He promised Abraham in Genesis 12.1-3. The LORD GOD had singled out a man from Mesopotamia, today’s Iraq, promising to make of him a great nation. GOD’s extraordinary promises to Abraham come like a bolt from the blue. GOD promised to make of him a great nation, which of course is Israel, and bless him, and make his name great, and Abraham would be a blessing. Plus GOD promised to bless them that bless him, and curse those that curse him, and in him, all the families of the earth will be blessed. These extraordinary promises are an act of GOD’s grace. No reason at that moment is given why Abraham merits these promises, except later we see that Abraham was a great servant of GOD who believed in The LORD, and GOD counted it for righteousness, Genesis 15.6. And Abraham obeyed the Voice of The LORD. He kept His instructions, His Commandments, His Statutes, and His Laws, Genesis 26.5, and GOD made Abraham the father of Israel, whose GOD is The GOD of Abraham, Isaac, and Israel. Judaism calls the first 2,000 years from the creation the Era of Desolation. Desolation meaning a time when the world was empty of GOD’s Word, and His Laws, and His instructions and teachings. Murder was introduced to mankind when Adam’s firstborn son killed his brother Abel, idolatry had been introduced to the world, and all the generations in the days of Noah were washed away in the flood, all because of desolation, the emptiness of GOD’s Word in the earth. Disobedience to His Laws and Commandments. The world was desolate and empty and disobedient to GOD. Let’s look at GENESIS 6.5-9 in the days just prior to the flood. Wickedness and evil come from the Hebrew word RAH meaning wrong and displease, among many other definitions. The people were WRONG by not obeying the Laws of GOD, and that disobedience to GOD DISPLEASED Him. However Noah found grace in the eyes of The LORD. Noah was a just man, and perfect in his generations, and Noah walked with GOD. Meaning that Noah obeyed GOD as did Abraham. Noah obeyed GOD’s Voice, and kept His instructions, His Commandments, His Statutes, and His Laws. GOD saw Noah as perfect. He pleased GOD. When Abraham was born some 1,948 years after the creation, the Era of Desolation ended, and the era of Torah began. Torah in Hebrew means GOD’s Laws, His Commandments, His teachings and instructions. Torah was introduced to the world. And GOD chose Abraham’s descendants, the Jewish people to be His Servant and His Witnesses to reveal to all the world that there is only one GOD, and all mankind is to live according to GOD’s Laws and Instructions that are all written in The Law of Moses. As a point of interest, Rabbinic tradition states that the next 2,000 years after Abraham or the third 2,000 years will be the time of Messiah. Thus the first 2,000 years was the Era of Desolation. The next 2,000 years was the Era of Torah. And the following 2,000 years, the time of Messiah. Well, Messiah did come some 2,000 years after Abraham. His name and title is Yeshua The Messiah Who Himself is GOD Almighty, The One GOD of creation. Rabbinic tradition also says that the world will end after the third 2,000 years, or after 6,000 years from the creation. That’s another study for some future day. Let’s look at some words about Israel and the Jewish people that have always intrigued me. They are words GOD gave to the Gentile prophet Balaam in Numbers 23.5&9. NUMBERS 23.5&9 VERSE 9 The people are Israel, the Jewish people. The Jewish people shall dwell alone. Alone in Hebrew is BAH DAHD meaning separate and divided. Israel and the Jewish people will dwell alone. They will be separate and divided from the nations. And they shall not be reckoned among the nations, in Hebrew is LO YEET KHAH SHAV meaning, Israel and the Jewish people are not thought of by GOD among the nations and the Gentiles. GOD does not think of Israel and the Jewish people as part of the nations. They are separate. These are words from Verse 5 that The LORD put in Balaam’s mouth. GOD is a GOD of Truth. There is no lie in Him. His words are always true, and His prophecies are always fulfilled. Since the days of Abraham to today, some 4,000 years, GOD has separated the Jewish people Israel as a people and a nation from other peoples, and from other nations. And though the Jewish people, and its Jewish Homeland Israel have been conquered many times because of disobedience to The LORD their GOD, they have never been absorbed by their conquerors, the Egyptians, the Babylonians, the Syrians, Persians, Romans, Greeks, Muslim Arabs, and the Turks. The Christian crusaders captured Jaffa and Jerusalem in 1099 slaughtering thousands of Jews and Muslims, and not allowing the Jews to live in Jerusalem. Then came Saladin, a commander of the Syrian and Egyptian armies and captured Palestine, the name the Romans gave Israel in 135 C.E./A.D. Then again the Arab Muslims captured Palestine. Then the Ottoman Empire under the Turks recaptured Palestine. Yet as GOD said, the Jewish people shall dwell alone and separate and not to be counted among the nations. The Jewish people have never been absorbed by other nations, or other peoples. And they have never lost their identity of being Jewish. The prophecy had to become true. GOD spoke it. Let’s look at a few more Scriptures about Israel being a great nation, but not counted among the other nations. EXODUS 33.11-16 VERSE 16 – So shall we be separated, I and your people from all the people that are upon the face of the earth. Being a chosen people, and being fully part of GOD’s chosen people has responsibilities. GOD expects much from us, and Deuteronomy 7 explains what GOD REQUIRES of His Chosen People. Let’s look further into some other Scriptures. (Exodus 19.5) Keeping GOD’s Covenant is obeying His Word and Laws, His Law of Moses. (Isaiah 56.6) Taking hold of My Covenant. The same, obeying His Word and Laws that are written in The Law of Moses. VERSE 7 Their sacrifices shall be accepted. Your belief in Messiah Yeshua shall be accepted with pleasure. Meaning, belief in Messiah has conditions. Those conditions are taking hold of GOD’s Covenant, obeying His Word and His Laws that are written in The Law of Moses. That is an important requirement of GOD. VERSE 2 There was no New Testament written in Peter’s day. He taught out of T’Nakh, The Old Testament along with belief in the Jewish Messiah Yeshua. Desire the sincere milk of The Word that you may grow by it. Here in some passages of Scripture in T’Nakh, The Old Testament, are some words of GOD, the sincere milk of The Word in which we may grow. 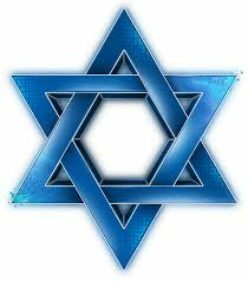 So we looked into some facts about Israel, The Israel of GOD, and were taught by GOD how non-Jewish people join in with GOD’s Chosen People Israel, the Jewish People. In addition to receiving Messiah Yeshua Who atones for all our sins, The LORD our GOD requires us to be an obedient people, to fear The LORD our GOD, to walk in all His ways, and to love Him, and to serve The LORD your GOD with all your heart, and with all your soul. To keep the Commandments of The LORD your GOD, and His Laws that are written in The Law of Moses. That you should know that The LORD, He is GOD. There is none else beside Him. That The LORD, He is GOD in Heaven above and upon the earth beneath. There is none else. And His Name among many of His great Names is Yeshua, Yeshua Ha Mashiakh, Yeshua The Messiah.